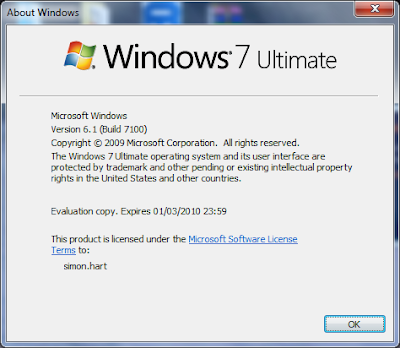 If you are still running pre-release Windows 7 OS like I am, it will expire soon. So how do you find out when it expires? Simple run winver.exe on the run menu and you'll get this. My copy expires on 1st March 2010.